Dr. Martens finally openned up a store in Canada! OMG take me back to my younger years of Nirvana, grunge, My so called life! and flannel shirts. 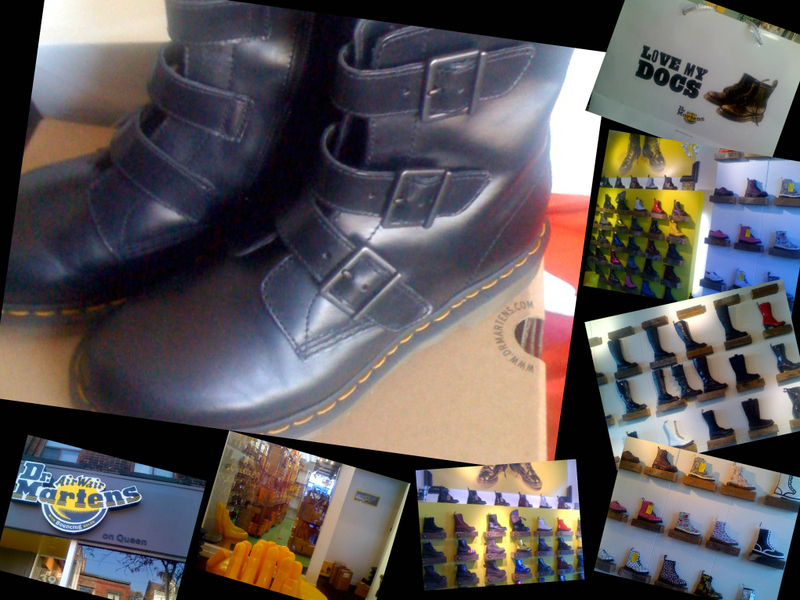 The Dr. Martens store on Queen St. is awesome! The store is beautifully simple. Docs are featured along the walls and wow what a variety. Now you can get docs with heels. They have a piano and electric guitar for you to just grab and play. funky yellow hands chairs and of course trendy very friendly sales people. I tried on a few docs, ones that were black with flower prints, plaid ones, black and white ones, ones with a zipper. I wanted to try them all but I didnt. I ended up buying the ones with the buckles. The last pair was my size! They caught my eye as soon as I checked out the wall of docs. Go to http /www.drmartens.com and check out all the styles docs come in, if the store doesnt have them you can order them and pick them up there. Also, doc to much for your buck? Ask them about their layaway program!